Outdoor sleeping bag company Zenbivy is partnering with Indiegogo to launch its latest product: The Zenbivy Light Bed. 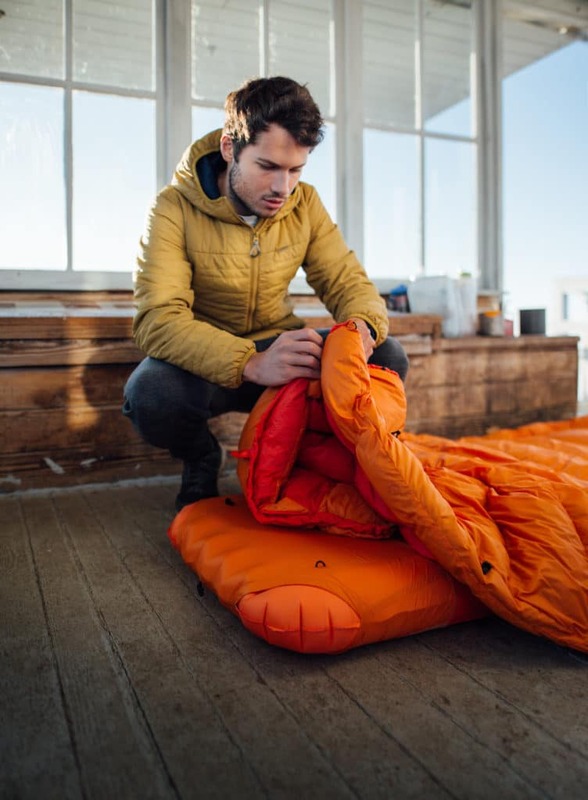 This zipperless sleeping bag is 20% lighter than Zenbivy’s original sleeping bag, which hit the market in 2017. Much of the weight loss is due to the use of lightweight hooks and clips instead of metal zippers. The bag itself uses 800 fill power HyperDry down and weighs 1 lb 13 oz. The quilt is made of a 20D nylon taffeta, which comes in at 1 lb 6 oz. To learn more about the design process behind the Light Bed, I spoke with Zenbivy founder Michael Glavin, who said his team was inspired to create a sleeping bag that mimicked the feel of an actual bed. According to Glavin, the team began the process by assessing the pitfalls of the traditional mummy bag, a popular type of sleeping bag that features a cozy body encasement as well as an insulated hood for warmth. While Glavin admitted that the mummy bag can be great for cold weather camping, he and his team found that nearly one-third of campers have trouble sleeping in their preferred position while using it. 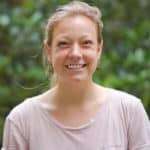 The goal was to create a sleeping bag that has the warmth and weight of a mummy bag but allowed you to sleep in your natural sleep position. The whole idea is for the bag to feel like your bed at home. The Light Bed is designed with backpackers in mind, consisting of a fitted sheet that attaches to a mattress pad. The quilt then clips to the sheet, removing the need for a zipper and thereby saving weight. Additionally, the sleeping bag has a rectangular footbox designed to give your feet more freedom to move or splay out as well as a roomy hood big enough for a pillow and head. 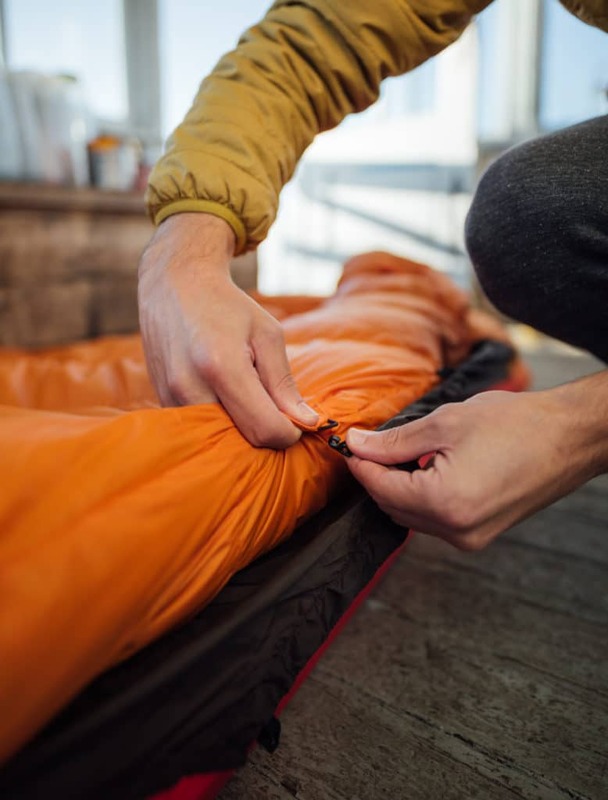 Though there aren’t any scientific studies out there that have analyzed the benefits of different types of sleeping bags, mummy bags are typically considered to be more popular than traditional, rectangular shaped ones, at least in the backpacking world. And it makes sense: not only are they warmer, but they’re also light weight and tend to be less bulky. However, mummy bags also offer less room inside, which can result in people feeling constricted and unable to naturally move around. The new Zenbivy Light Bed will launch on Indiegogo on September 13 and will be available for purchase at a discount until October 12. Feature and body images provided courtesy of Zenbivy.